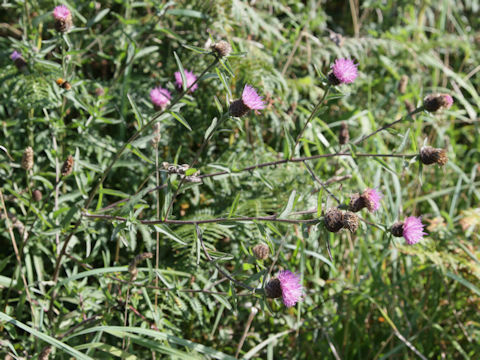 Melancholy thistle (Cirsium heterophyllum) belongs to the Asteraceae (the Aster family). 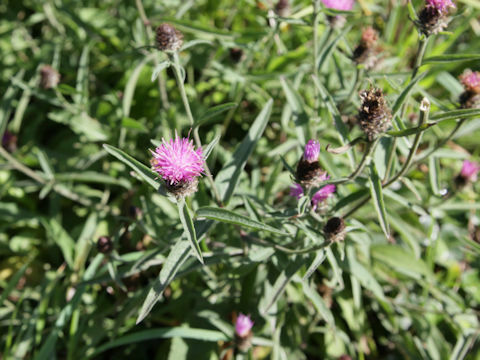 It is a perennial herb that is native to Europe and western Asia. 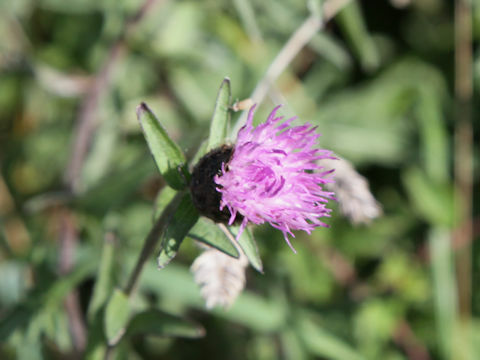 This herb grows in upland meadows, grasslands, road verges and open woodland, and up to a height of 45-120 cm. 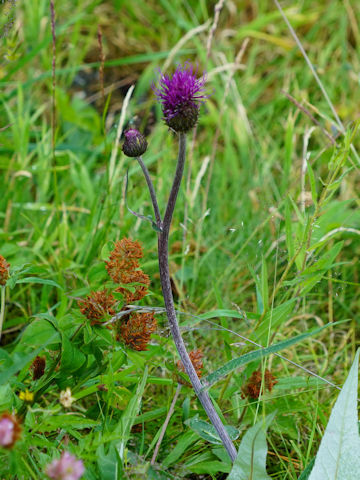 Unusually for a thistle, it lacks spines. 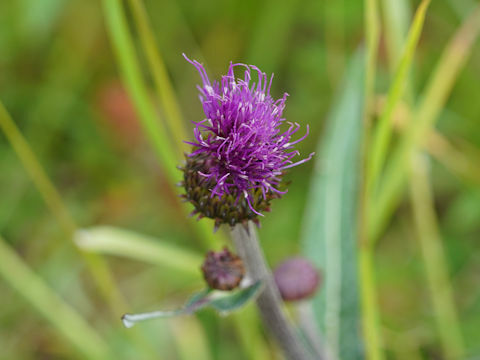 The basal leaves are lanceolate with petioles and softly prickly edges. The cauline leaves do not have petioles and clasp the stem. 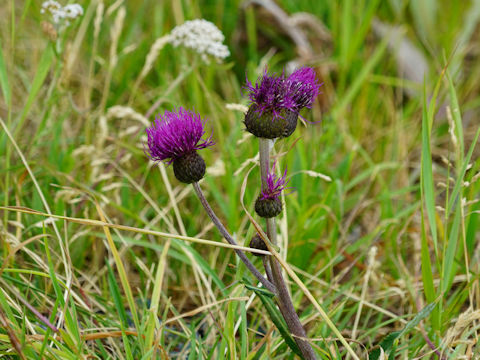 The red-purple flower-heads appear from July to August.